Fotografie Blog – Photography Blog is a simple, aesthetically minded, lightweight and flexible photography blog WordPress theme for photographers and photobloggers. It is a child theme of Fotografie, a simple-yet power-packed photography WordPress theme. 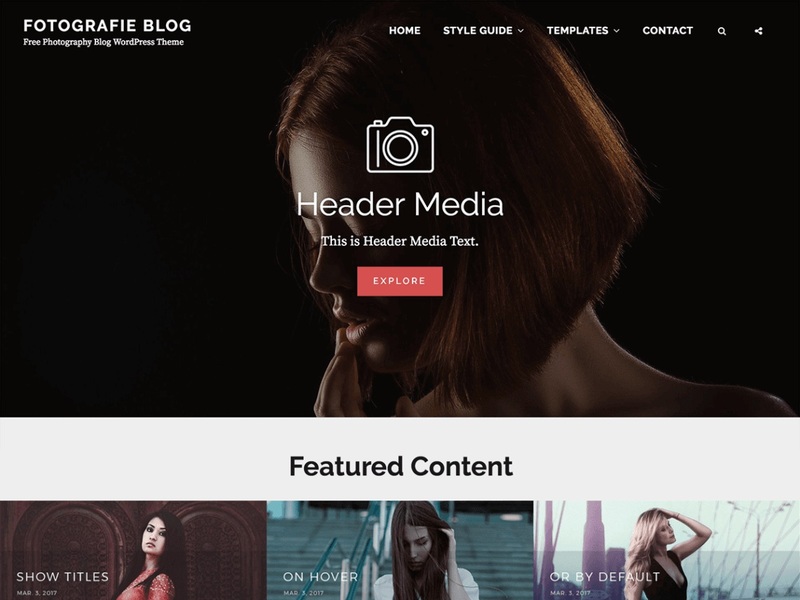 With features like featured content, hero content, portfolio, testimonial, services, and more, the theme is ideal for building creative photography and blog websites. Crafted beautifully for Photography and Blogs, it is an elegant and theme that looks aesthetically beautiful across all devices. Along with the powerful photography features, this theme comes with features for hammering out the precise blog you want. If your goal is to create a stunning photography blog that manages to captivate its audience, this theme is your greatest ally. So, download Photography Blog today and bring life to your photography and blog! And if you’re seeking advanced features, check out the premium version of the theme. This theme is translation ready.